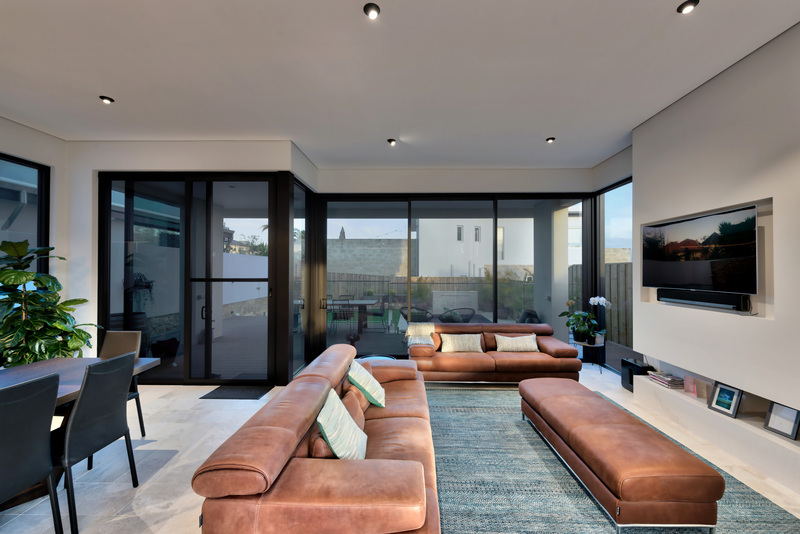 Contemporary living comes at its finest in this East Fremantle home. 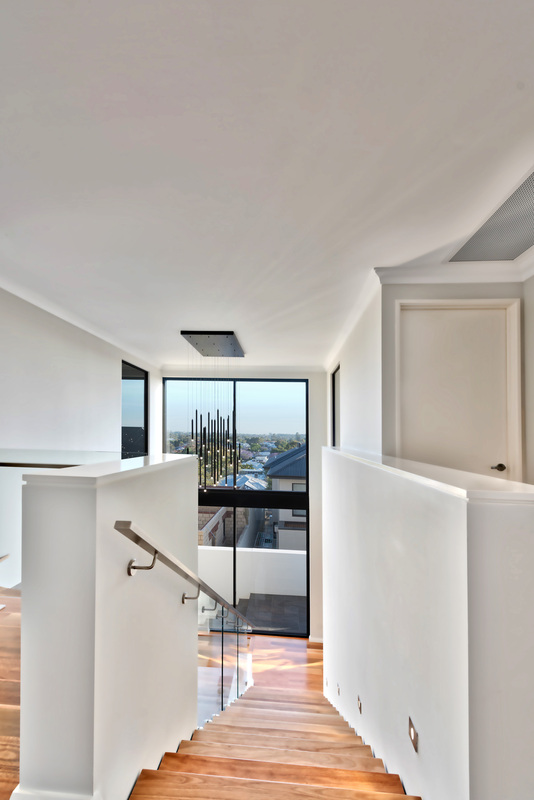 The stunning three story build showcases multiple Unios products, which have been supplied by HS Reflections. 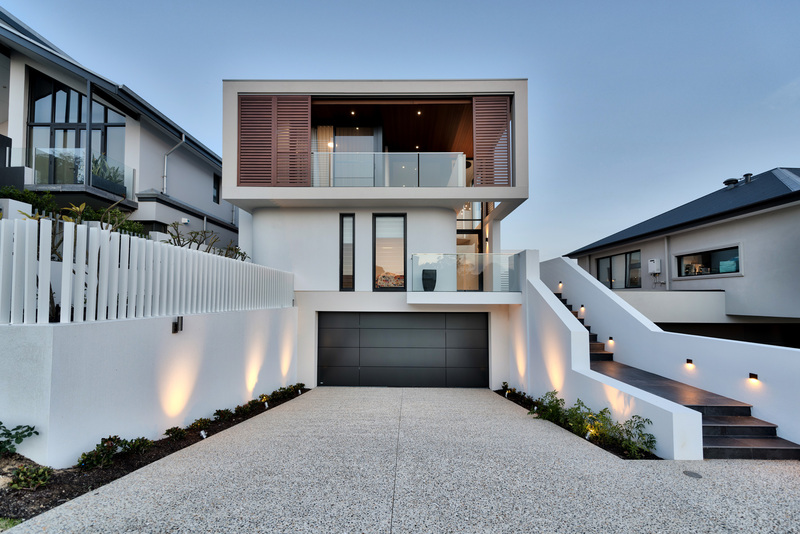 On the exterior front, the Astro Fixed One Wall Light provides a safe, wayfinding light up the entrance of this home. 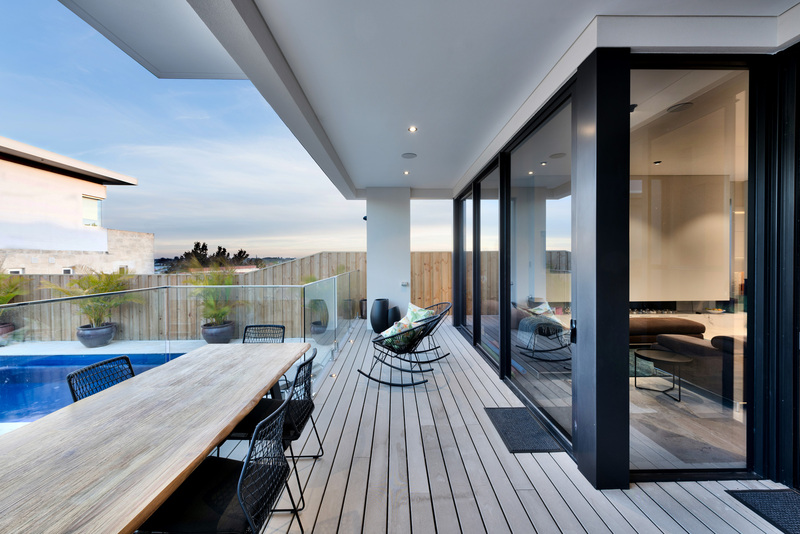 The Astro’s angular body provides a striking beam that requires only minimal energy usage for the home. 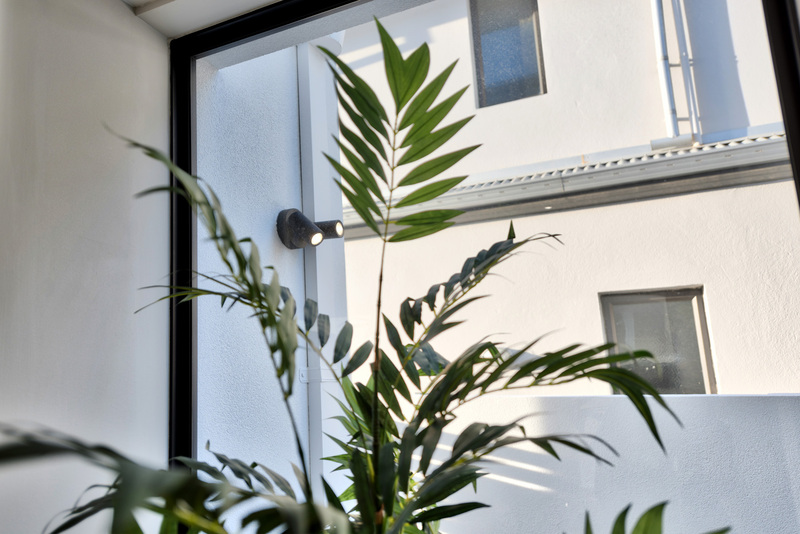 With an IP65, this luminaire proves its resistance with the harsh weather conditions of Fremantle. 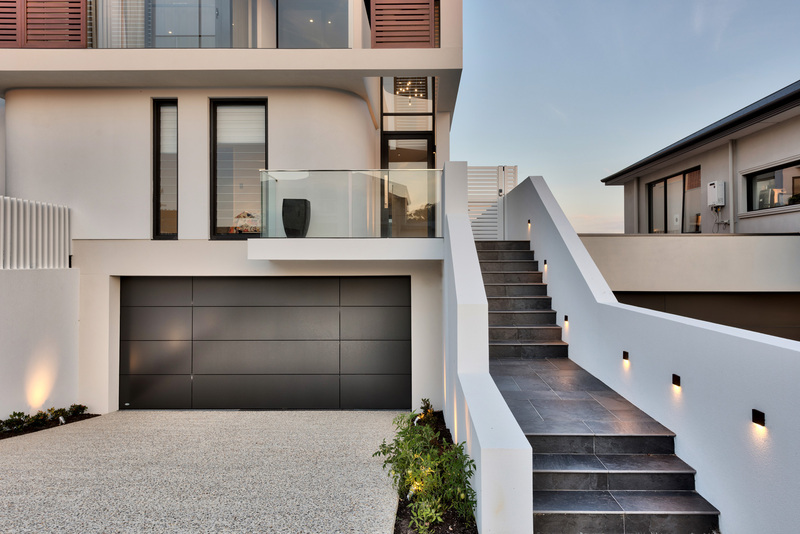 Working in unison with the Astro, the Emerland Spotlight creates a circular spotlight wash over exterior walls and brings the outer of this home to life at night. 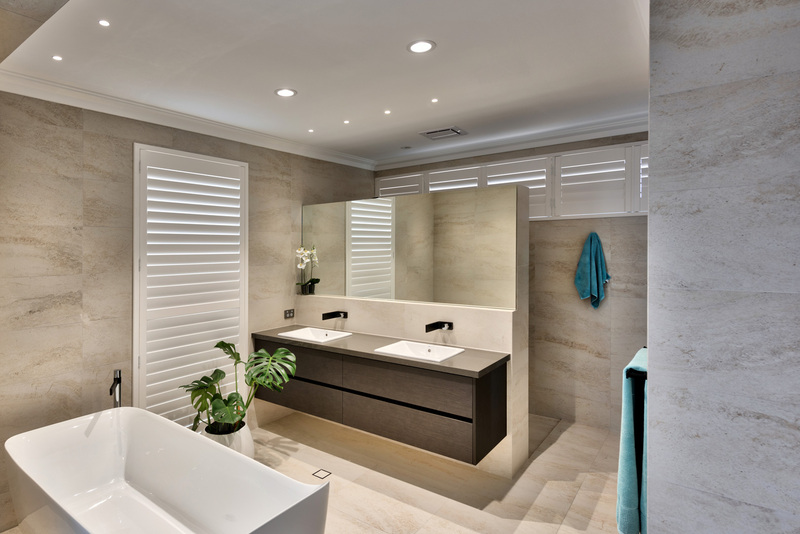 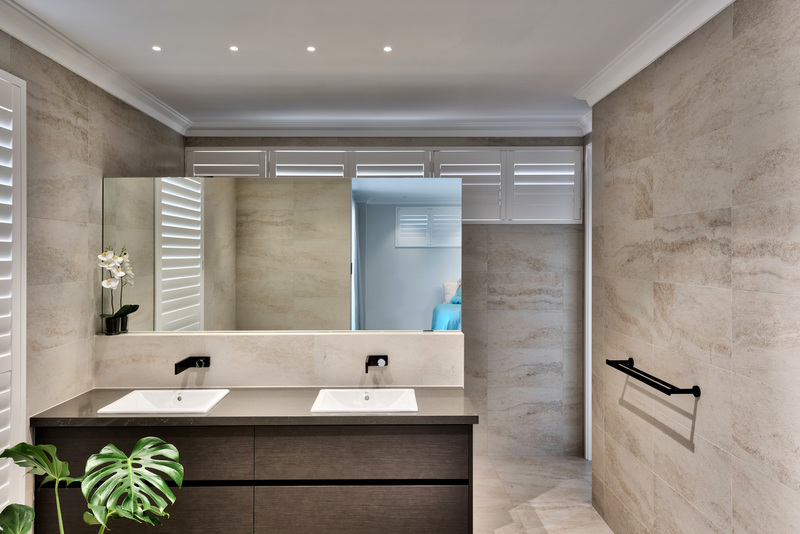 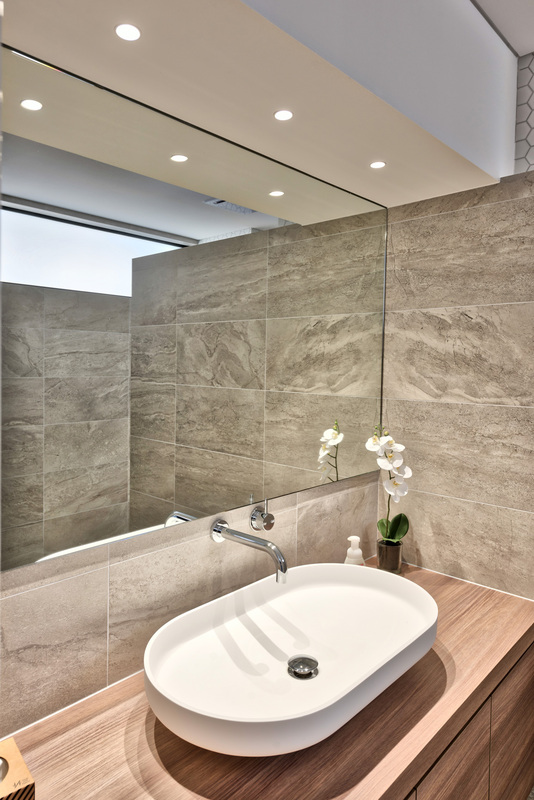 Throughout the home, Titanium Starlights work as a dynamic feature above bathroom vanities, where they create uniform brightness from their minimal form factor. 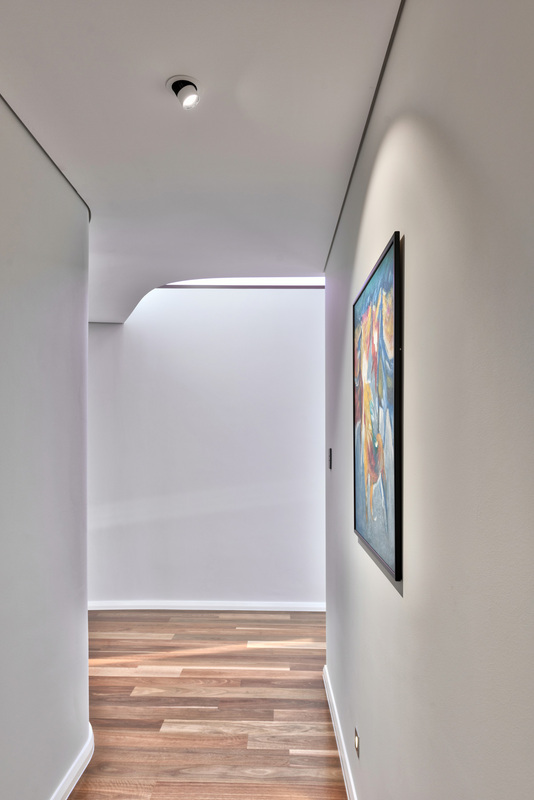 The Switch Downlight Series plays an important role to highlight feature artwork throughout the home, while the Shift Out Downlight provides a directional downlight in the main living area. 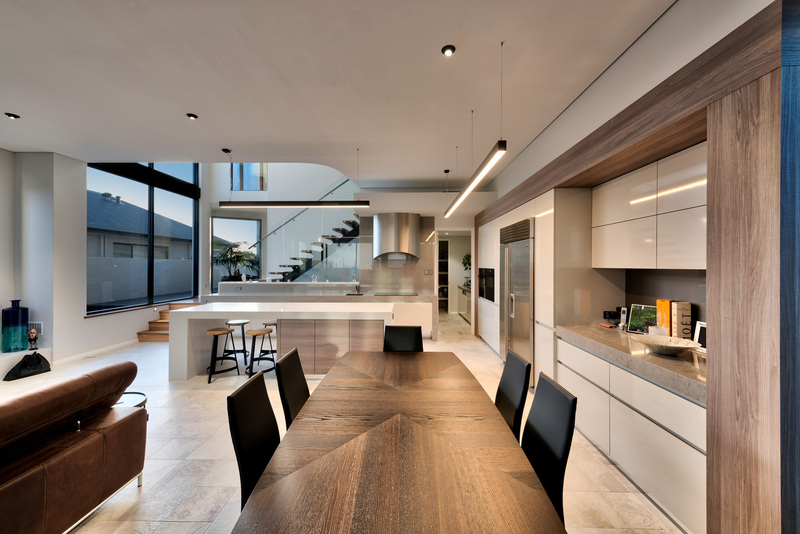 Perhaps the hero luminaire of this home is the LX S62, which elegantly hangs the kitchen. 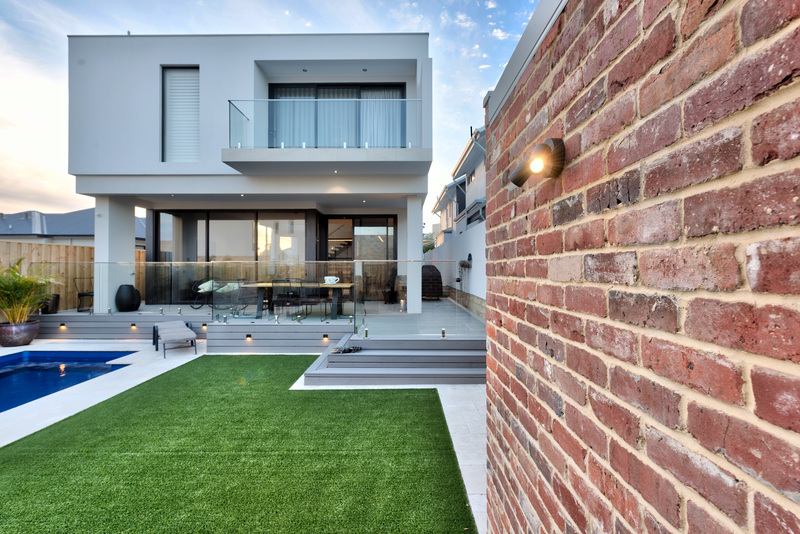 The LX S62 not only provides adequate illumination for this contemporary home but adds a modern touch which is currently proving to be a popular choice in residential spaces.